3. See, now I’ve already forgotten what else I was going to blog about. 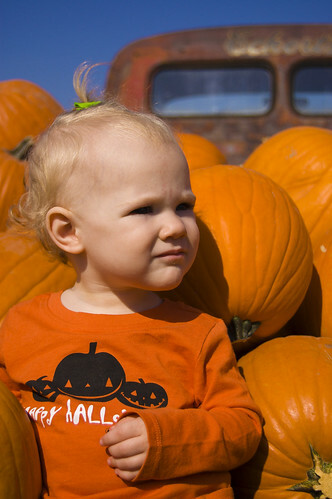 �I will find a notepad for my diaper bag & blogging will go on! 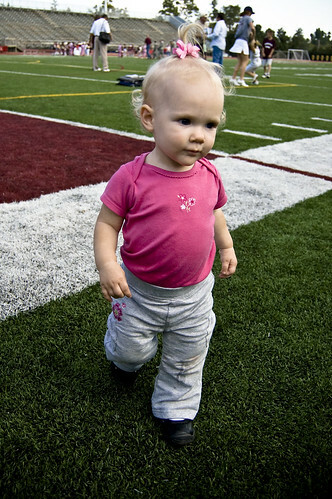 �Until then, here’s a pic of Ella in the end zone @ Uncle Chris’ game @ Missouri State’s homecoming. Undecided? �Not if you live in St. Louis! I hope these videos make your day a bit brighter! �I laughed…a lot. We traveled to Springfield to watch Chris’ football game on Saturday. �It was a last minute decision, but we had a lot of fun! �The drives weren’t too bad, the weather was absolutely beautiful & the Bears won! �We saw Chris catch a few passes & Ella had fun listening to the band. �She danced a lot to the halftime show. �If I can figure out a way to upload video from my cell phone, I’ll share! Every day is different and, though not always easy, amazing. �I can’t wait to find out what Ella will do next and what I will learn from her.